You know what they say about all work and no play? 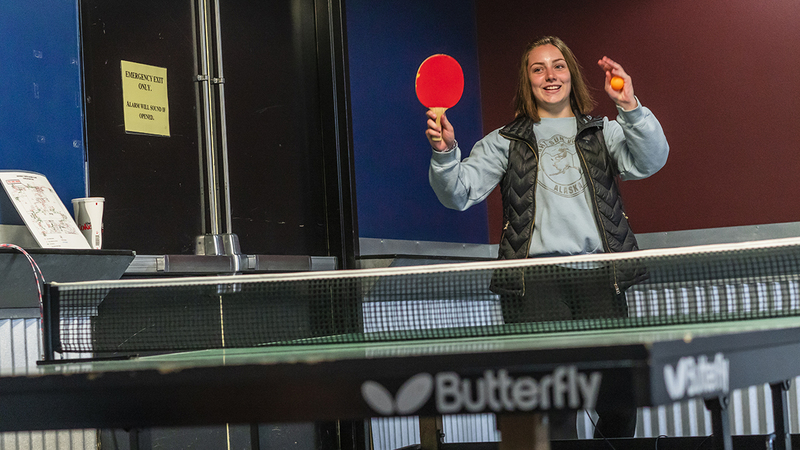 At the University Center Game Room, we are completely devoted to the pursuit of fun! We may not be able to help you pass that quantum physics exam, but we sure can show you a good time. 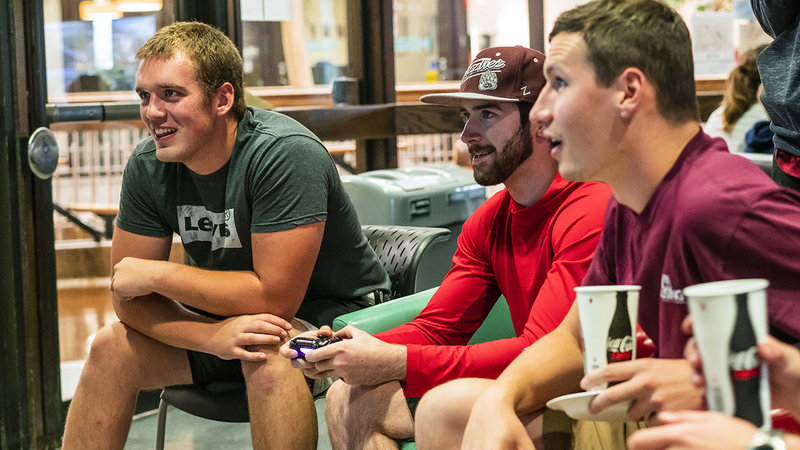 There's something for everyone at the UC Game Room, so grab your friends and come hang at the most fun place on campus! Do you have some time to kill between classes? 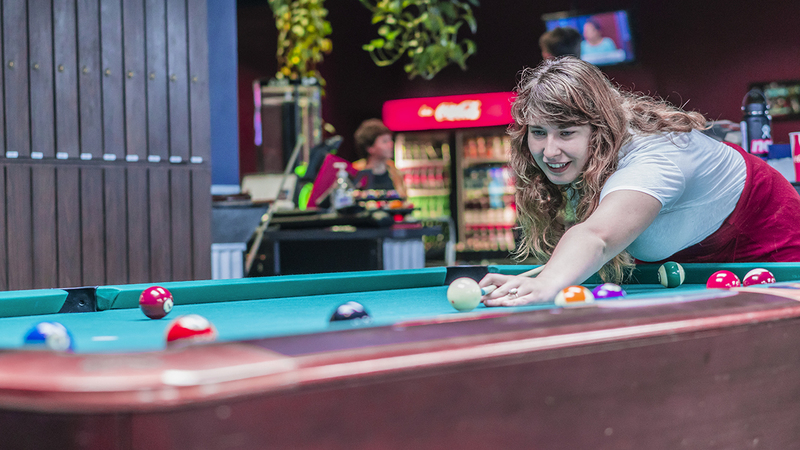 The UC Game Room offers comfortable seating, TVs, video gaming, table tennis, billiards and much more! 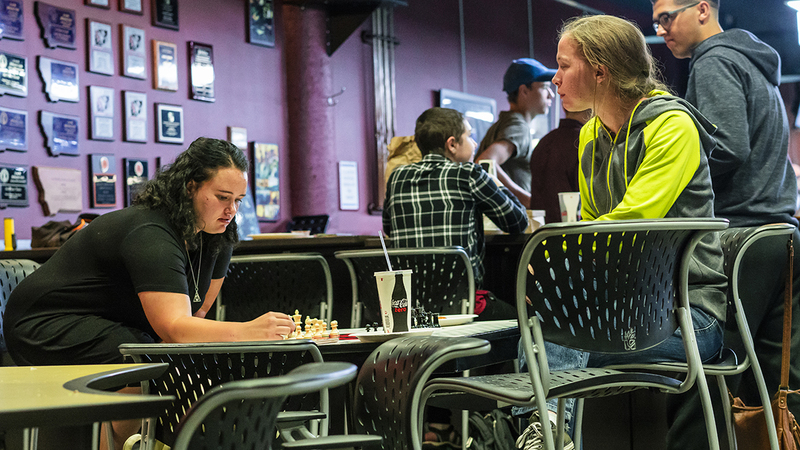 The Game Room offers one-credit HHP courses in Billiards and Table Tennis during the Fall and Spring semesters. This course covers the fundamentals of several billiard techniques. Curriculum includes an 8-Ball and 9-Ball tournament and thorough knowledge of rules. 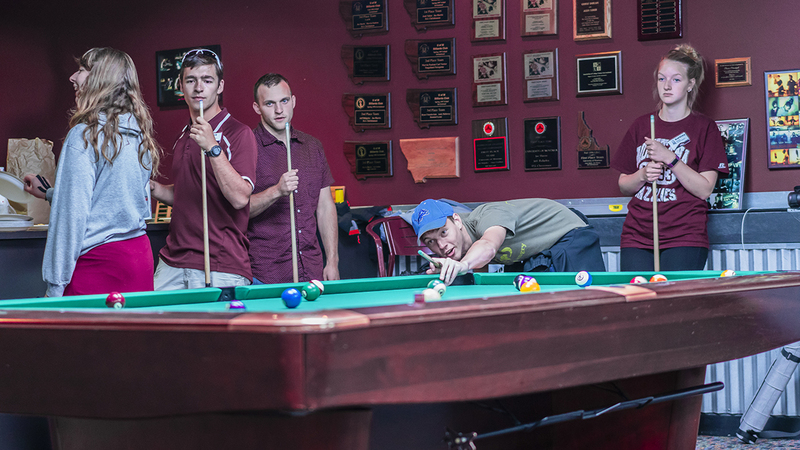 Instructors are fluent in all popular billiard games, strategies, history and equipment. Graded Credit/No Credit. Offered as a course focused on improving your skills. Intermediate Billiards will cover the game of Billiards more in depth and offer more difficult games such as Straight Pool, trick shot knowledge, and snooker. This class will also give students the opportunity to play against more experienced players. Graded Credit/No Credit. This course will cover the fundamentals of table tennis. Topics will include terminology, serving techniques, knowledge of forehand and backhand drives, push, loop, block, flipping, smash, lob, etc. An in-class tournament will also be offered. Graded Credit/No Credit. Offered as a course for players to enhance their skills. Instructors will cover strategies and playing with spin on the ball. This class will give students the opportunity to play against more experience players and will offer an in-class tournament. Graded Credit/No Credit.